Our pupils: the raison d’être of the school. We have 7 graduating classes in addition to more than 1,400 pupils currently enrolled at school: pupils that we accompany at every stage of their school life. Our pupils giving the best of themselves. 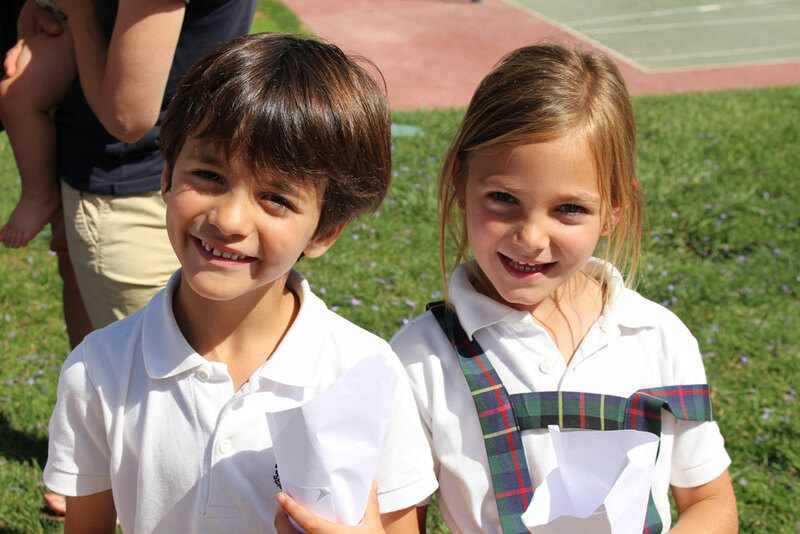 The happiness of our pupils. Their commitment to the world surrounding them through their experience of God. Our motto “SEMPER ALTIUS” means “ever higher” in Latin. It expresses our aspiration to strive, every day, for the best possible integral development of our pupils. It is a lofty goal, however we can strive for nothing less, when parents entrust their children to our care. Our goal is that our pupils transmit the distinctive mark of Highlands School in all that they do. Aware of the fact that parents are the primary and chief educators of their children and as such, are seeking the best for them, we are wholly committed to collaborating with them in this pursuit. 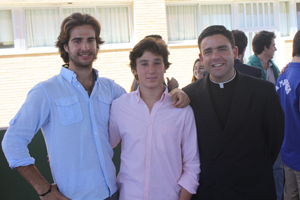 This is why the family plays a central role at Highlands School Seville. Their presence and participation is essential for achieving the goals of our educational project. We appreciate the support we receive from parents when it comes to organizing Family Day (our annual school fair) as well as their attendance at various activities organized by the school: pilgrimages, apostolates, retreats, parent workshops, parent education conferences and of course, to all the other academic activities that take place: Open Classes, recitation and public speaking competitions, Cultural Week etc. Without the parents our project would be meaningless. Any pupil that has received their education at the school becomes, once they have concluded their studies, part of our Alumni. Life as a pupil lasts for counted years but as a former pupil it lasts forever. To date we have 7 graduating classes. We continue to keep in contact with our former pupils via social networks, bulletins, as well as our annual Alumni reunion, a day that we all look forward to. They often drop by to visit and continue to demonstrate the distinctive mark that they bear from being a part of the Highlands family. At our annual School Fair (Family Day), they have their own reserved area as anyone would expect.